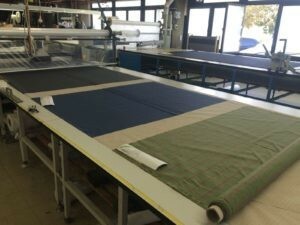 In made-to-measure tailoring the cutting and stitching processes are performed with the help of the latest technical equipment such as computers and CAD cutters. 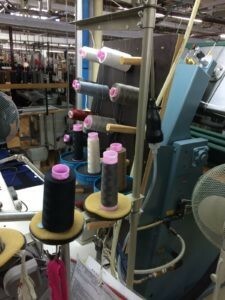 The stitching procedure is mostly performed using a sewing machine and production is sub-divided into individual work steps. Starting from basic patterns and with the help of appropriate “fitting models”, first of all we work together with you in front of the mirror to achieve the perfect fit. That is to say we find the right balance for the article of clothing, we make up for slight physical irregularities such as falling or raised shoulders, define the right position of the sleeves and the size of the armholes, etc. 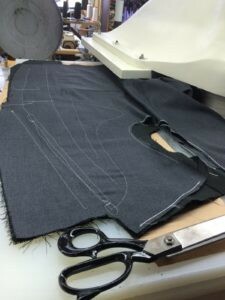 The corrections and adjustments necessary are then entered into our cutting program and your own unique, personal pattern is created. A great deal of importance is given here to finding the optimal design which provides both comfort and elegance. 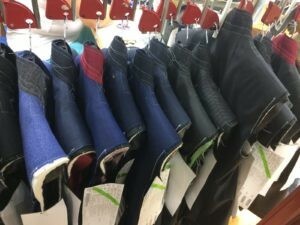 Subsequently we turn our attention to the desired model and the detailed features such as pockets, vents, lining, buttons, etc. 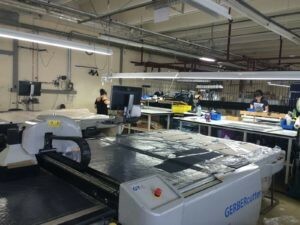 Since 1991 we have been working together with the German master tailors SCABAL, which will complete your garment within 4 weeks or, as an express service, within 8 days. 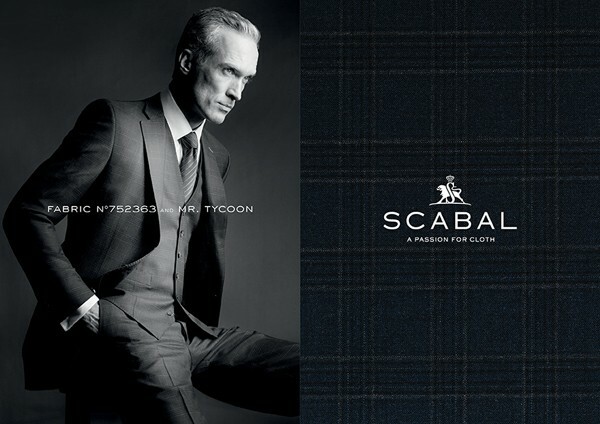 Made-to-measure garments “made by Scabal in Germany” carry the hallmark of first-class workmanship and highest quality. 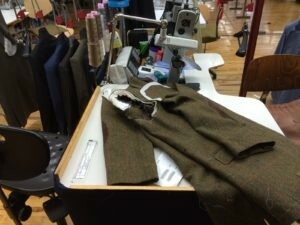 The horsehair interfacing of the jacket is stitched in and not glued, which enhances comfort enormously. All the edges can be top-stitched on request, the cuff vent is open and can be buttoned, the inside pockets are reinforced with a tongue of external suit fabric encircling – a lot of little details which make the garment unique right down to the inclusion of your personal monogram embroidered into the lining in the desired colour. 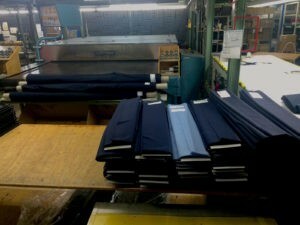 The advantages of made-to-measure tailoring are quite clear. 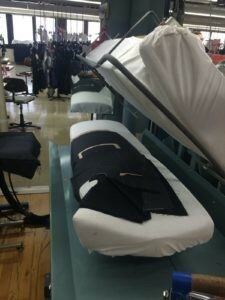 High quality made-to-measure tailoring is a creative and above all economical alternative to handmade clothing.